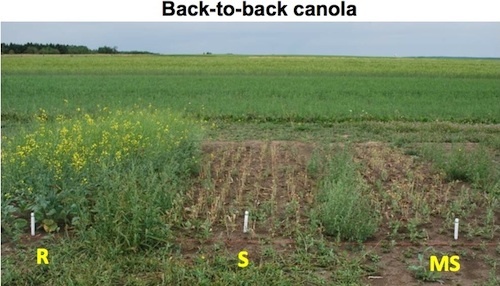 The Canola Diagnostic Tool is live at www.canoladiagnostictool.ca. Click “read more” to see a tutorial video on how to use the tool. 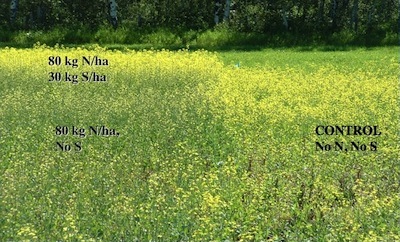 When fields are sulphur deficient, canola that receives only nitrogen fertilizer (front left in photo) can yield less than canola that receives no fertilizer at all (right in photo). 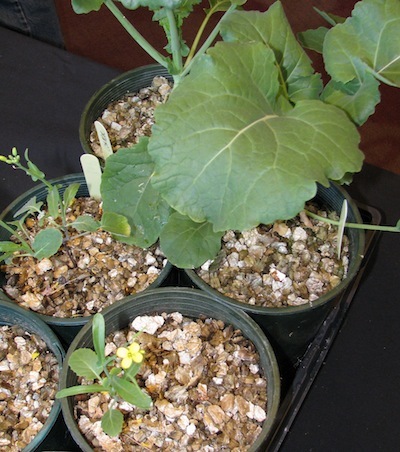 Canola plants need sulphur to produce three key amino acids: methionine, cysteine and cystine. Without the S to build these amino acids, N creates toxic amides in the plant that greatly inhibit seed set. A dry summer and fall in certain areas of the Prairies created a high risk situation for herbicide carryover this spring. High spring moisture from increased snow fall will not help much because microbial activity does not occur, no matter the soil moisture level, until soil temperatures are 5°C and then only increase marginally until soils are warm. 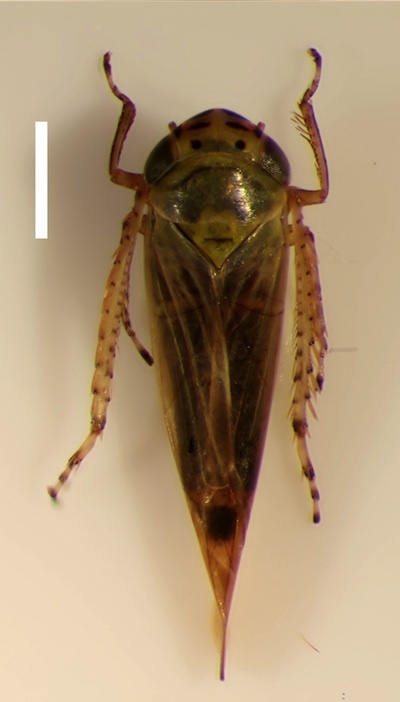 If little precipitation was received from the time of application until September, residues may still be present at damaging levels in late May and early June. Both of these trays were seeded with kochia and then sprayed with glyphosate after emergence. 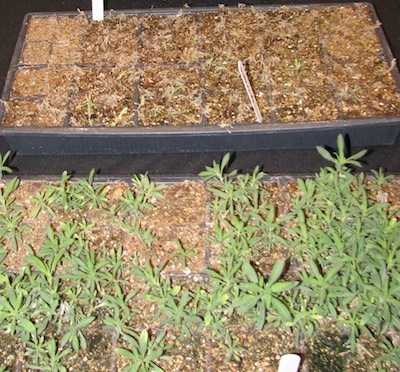 The difference: The tray in front was seeded with glyphosate-resistant kochia seeds. Glyphosate resistant kochia is spreading and most kochia on the Prairies is already Group 2 resistant. For good long-term management and prevention of glyphosate-tolerant kochia escapes, use a rotation of broadleaf control products with good activity on kochia and that include actives from groups other than 2 and 9. Tank mixes and pre-packs that include bromoxynil, dicamba or Group 14 active ingredients are the choices available. 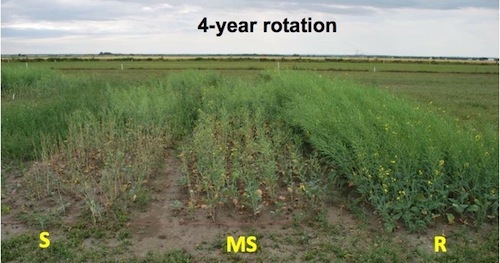 These photos from canola plots grown in clubroot-infested soils in Quebec show how rotation, especially for MS and S varieties, improves yield. Rotation also plays an important role for growers relying on R varieties in clubroot infested fields. Short rotations using resistant varieties will select quickly for clubroot pathotypes that are not controlled by the genetic resistance. This can rapidly eliminate the value of the resistance trait on those fields. Many things can cause missing pods on a stem, including heat, drought, herbicide damage, sulphur deficiency, boron deficiency, male sterility and insects. Seeding earlier increases the chance of a killing frost on seedlings but it also limits the chance of heat stress in summer. When seeding early, take steps to improve crop establishment by seeding shallow, aiming for at least 7 plants per square foot, and using seed-placed phosphate for faster pop up. If weeds are emerging and growers plan to wait a couple weeks to seed, controlling actively growing weeds now is better than waiting.